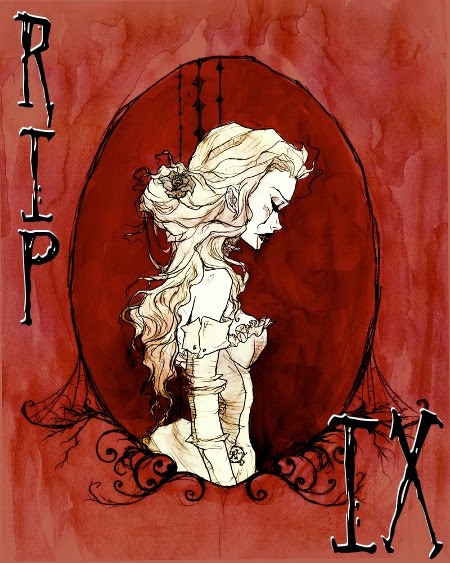 For someone that doesn’t really like scary things, I have been looking forward to the annual R. I. P. revelry rather more than you might think. Last year, I approached with some trepidation and a degree of scepticism about how easily led I can be when it comes to bookish things online. This year I at least know that I can survive the Readers Imbibing Peril festivities without major emotional scars and feel positively excited about getting my gothic on. As we have long since established, I do not read truly scary things. As the man trying to browse the horror section of Leeds’ Waterstones peacefully last weekend could now tell you after being subjected to my should I/shouldn’t I considerations over The Shining by Stephen King with Ellie and Hanna, poor chap. I’ll save that “treat” for the R. I. P. X milestone and instead set myself some sensible targets that won’t have me cowering in a corner in desperate need of a hug by 31st October. As with last year, I’m pitching in with an attempt at PERIL THE FIRST. I’m away on holiday for a couple of weeks in late September/early October so that means some long haul travel time plus some holiday reading time (although not a massive amount because it’s not really a ‘sit and relax’ type of break…). It also means that much of my reading will be done in the company of (many) others in well-lit conditions, which may increase my bravery a smidgen. That plus the fact that I do so love a gothic novel during October makes striving for four books perfectly achievable. Last year I managed five and I was on holiday during a similar time so the odds are good, friends. 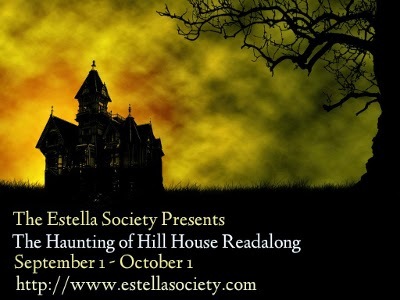 I don’t really know quite what I want to read other than that I definitely want to take part in the group read-along of The Haunting of Hill House. I’ve wanted to read it for ages, it’s on my Classics Club list and I have been saving it for this time of year despite originally digging it out of the box it was living in back in APRIL. So that’s a certainty. I also really want to read The Passage by Justin Cronin because I’ve had it for years and I don’t think I’ve ever heard/read a bad word about it. I always avoid it because of how long it is but I think that maybe this year, I’ll use my holiday to tackle something bulky that I normally wouldn’t have the time to get in to. Otherwise, I have a wicked craving for some Agatha Christie that I’m going to count because murder is dark, even if it isn’t packaged in a particularly sinister way. I haven’t a clue what Agatha Christie book specifically but something. And then to round it up to four, I may go for Wuthering Heights if I feel like I have the time or possibly the delightfully sinister looking The Yard by Alex Grecian that I bought probably about a year ago and is some kind of twist on the Jack the Ripper mystery that sounds kind of wonderful. Actually, the more I think about it, the more I want to dig it out after I’ve finished upsetting myself with Code Name Verity. So there’s a clue for what might crop up first, I suppose. I don’t tend to read short stories so signing up for THE PERIL OF THE SHORT STORY is where things get optimistic. It’s not that I don’t like them as such, just that I prefer a full length novel. I do, however, have a red-spined beauty of a Vintage anthology of Edgar Allen Poe short stories/poems that I feel like I want to tuck into. If I could at least read one short story that would be progress so I’m just going to do it and stop messing about. I was also sort-of inspired by Ellie’s sign-up post to read The Birds by Daphne du Maurier because I had no idea that she had written the book that the Hitchcock film was based on. Then I remembered that I already dislike birds quite enough without reading a scary story about them so that came off the menu. Edgar Allen Poe it is! I can not wait to get started! What better way to distract myself from the fact that the nights are indeed drawing in?! Want to sign up too? Head over to Stainless Steel Droppings and sign up HERE and then keep up with the shenanigans on Twitter using the hashtag #ripix!